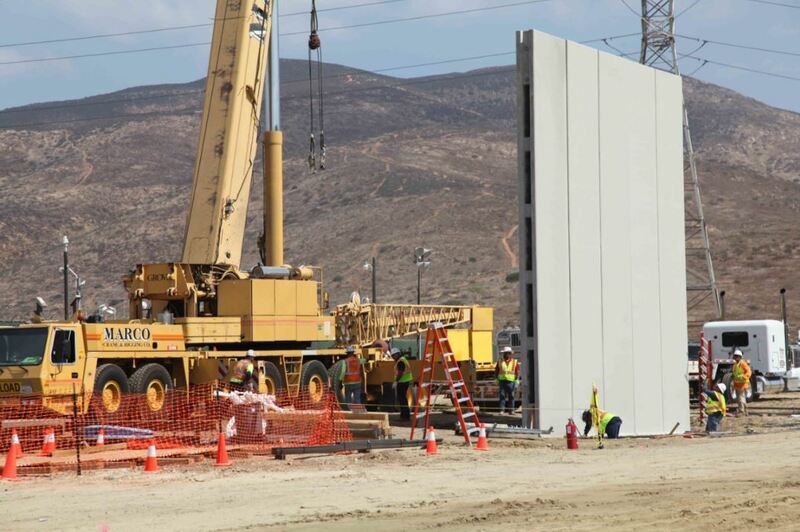 On Tuesday, U.S. Customs and Border Protection (CBP) tweeted images of the border wall prototypes in California that showed a wall ideation well underway. CBP unveiled plans for the prototyping phase back in September. The new images, taken near the San Diego–Tijuana border, show construction cranes lifting 30-foot-tall concrete slabs. The panels are one of eight wall prototypes that are set to be built and tested. Though all will be between 18 and 30 feet high, four of the walls will be concrete and the rest will be built with other materials. Last month it was revealed that three of the six firms selected to build the prototypes had previously defrauded the government. Despite the project’s contentiousness, the San Diego Union-Tribune reported no protests yesterday. For more news, opinion, and information on the border wall, visit archpaper.com/tag/border-wall.